Red Wine, Green Tea and Dark Chocolate: Omega-3 supplements reduce both inflammation and anxiety. Omega-3 supplements reduce both inflammation and anxiety. A daily dose of 2.5 grams of marine source omega-3s ( EPA and DHA) may reduce symptoms of anxiety by about 20%, according to new data from the Ohio State University. Twelve weeks of supplementation was also associated with a significant reduction in a range of inflammatory marker compounds: An important finding considering that inflammation is reported to be a major factor in many age associated sources of death and disability, note the Ohio State scientists. 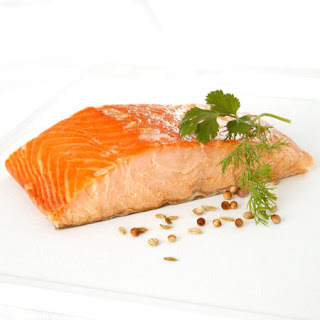 The study adds to the ever growing body of science supporting the potential health benefits of omega-3. The majority of the science has focused on the cardiovascular benefits of the oils, but an increasing number of studies are reporting the potential cognitive effects related to mood and behavior. “The reduction in anxiety symptoms associated with [omega]-3 supplementation provides the first evidence that omega-3 may have potential [anti-anxiety] benefits for individuals without an anxiety disorder diagnosis,” wrote the authors in Brain, Behavior, and Immunity .